We all know the left wing lurch the Democratic Party has taken over the past for years. You saw that with the energized progressive cohorts that flocked to Sen. Bernie Sanders (I-VT) in the 2016 Democratic primaries. 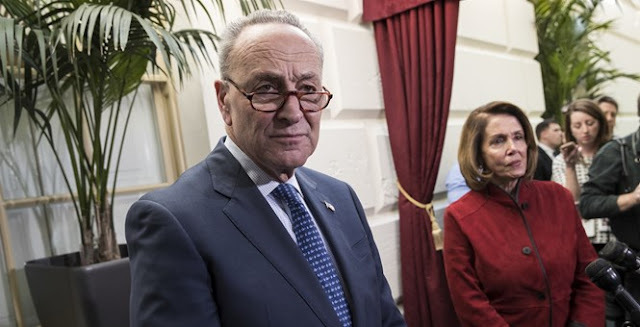 Now, with tax reform done, Democrats are licking their lips. They think they can use this as the ICBM to nuke the Republicans in the midterms, and that could happen, but this is all based on the bill’s bad poll numbers. Analysis and even some publications, like The Washington Post, admit that this bill will cut taxes for 80 percent of Americans over the next eight years. It’s a gamble on both sides. Yet, for Democrats, that also includes explaining why they voted against middle class tax relief, betted against the American worker, and want business in general to fail in order to screw Trump. If this bill becomes more popular, and it’s bound to, and people start seeing more money in their pockets—the defense of this will be, well—less than stellar. You’re already seeing some acknowledgement, like with Sen. Joe Manchin (D-WV), who admitted in a radio interview that there are provisions of this tax reform package that will help the people of his state. Manchin voted against the bill. The Wall Street Journal editorial board noted that if Nancy Pelosi had navigated a piece of legislation that saw a deluge in businesses announcing that hundreds of millions will be devoted to charitable giving, investment, and bonuses to their workers, she’d be dancing in the aisles of the House floor in a Santa suit. Just like the disastrous results yielded from their minimum wage hike push, just look at Seattle, the Democrats are once again hoping that no one will notice their economic illiteracy. The Democratic strategy heading into 2018 comes down to running against the tax bill almost entirely on the basis of its poor opinion-poll numbers, which result from months of negative media spin. Still, there are a couple of things worth noting about the position the Democrats have staked out. Let’s consider this notion in light of these corporate announcements. Between them, AT&T and Comcast have 300,000 employees who will benefit from the $1,000 bonuses. Virtually all American workers not employed by the government depend on the economic health of their employers to support themselves and their families. On what basis do these bonus and investment announcements deserve cynicism and vilification? Consider as well the economic substance. Among the criticisms of the corporate-rate cut is that businesses mostly would buy back shares, benefiting only shareholders. Certainly many will do that. But the announcements by AT&T, Boeing and Comcast suggest another likely result. In a growing economy with a tight labor market, scarce workers are increasingly valuable. When Boeing says it plans to invest $100 million in its workers, the clear message is that Boeing knows that in a strong and competitive economy, it is going to be in a bidding war for talent. That is part of the argument made by White House chief economist Kevin Hassett and others. A wide body of research suggests that corporate tax reform that lets companies retain a greater share of earnings will benefit workers in higher wages. How any of this is bad is a mystery. Democrats are betting that the private sector will fail to respond to the tax bill’s incentives. Democrats used to be the party of hope. Now, by their daily admission, they have become the party of hoping that tax cuts will fail and private investment won’t help workers. In the meantime, outside of the Democratic noise machine, the economy is growing at four percent, the Dow Jones had a 5,000-point surge this year, the biggest ever in its history, consumer confidence is at a 17-year high, and unemployment is at a near two-decade low. Even CNN had to admit that this bill would put some “damn good money” in the pockets of working class families. Apparently, this is all bad news. This is apocalyptic for Democrats. In some ways it is because Trump is succeeding economically in way Barack Obama never could. That has to rub them the wrong way. 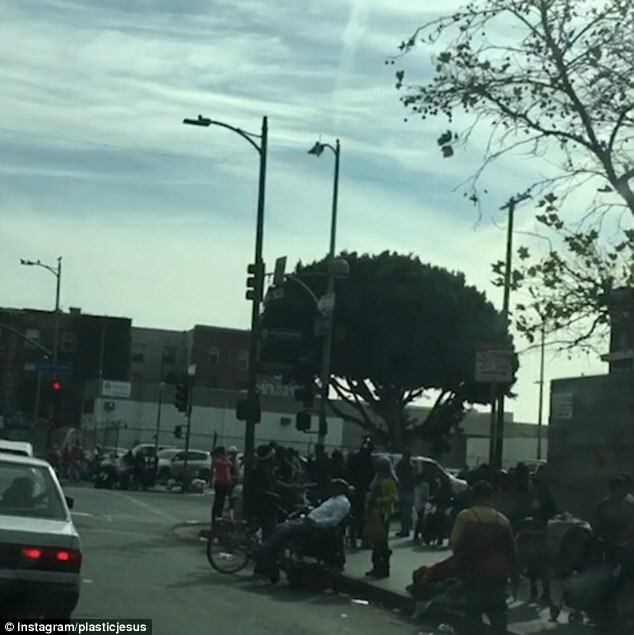 · The Video shows the brutal reality of Christmas Day in the underbelly of Downtown LA. 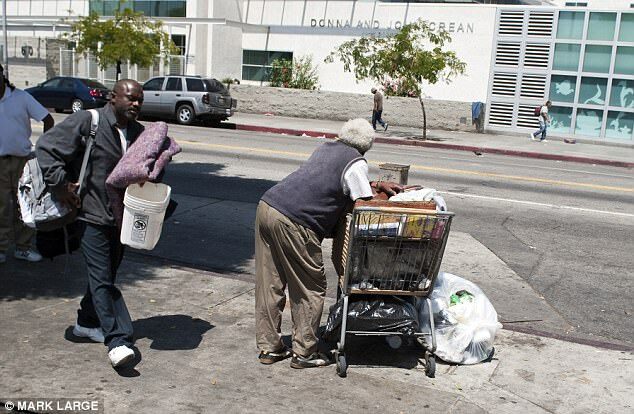 · Shot on 5th Street, 6th Steet and San Pedro in the Skid Row district, it captures life in one of the city's most notorious homeless hotspots. · Rubbish bags litter the streets and tents have been erected to shelter residents - including women and children. · Rising cost of living in California is also forcing middle class residents to live in their cars in affluent areas. 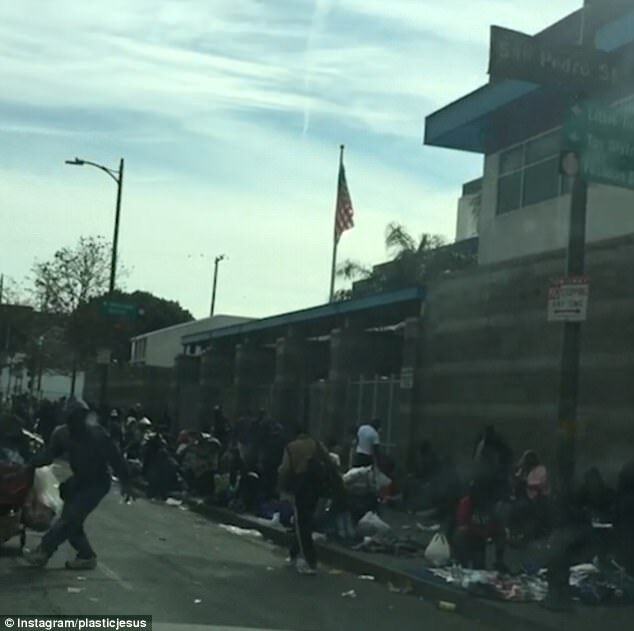 In Skid Row - one of the notorious homeless hotspots in the area - nine toilets are shared by some 2,000 people, according to a June report titled 'No Place to Go'.